BLUE HORSE NEW GENERATION LUBRICANTS are made from primary mineral oils that are subject to strict controls and certified with international quality standards. They are produced by a Greek company, certified according to ISO 9001: 2008, ISO 14001: 2004 and OHSAS 18001: 2007. 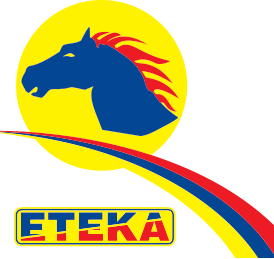 ETEKA puts its signature in advanced technology and efficiency lubricants, always delivering Performance Without Limits!